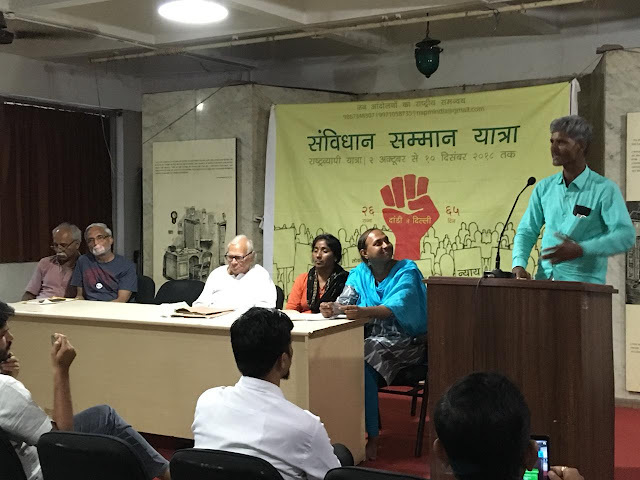 Top civil rights network, National Alliance of People’s Movement (NAPM), which began the nationwide Samvidhan Samman Yatra on Gandhi Jayanti from Dandi, against “increased mob violence, hate crimes, casteist attacks, natural resource loot, and consistent attack on constitutional values”, completed its Gujarat leg on Thursday in Ahmedabad, announcing that it would launch a parallel Minimum Support Price (MSP) Satyagraha from October 8 to 12, 2018. In a statement, NAPM said, farmers are fighting for fair remunerative prices for their produce as per the Swaminathan Commission’s recommendations of keeping MSP through the formula of ‘C2+50%’, which provides for at least a 50% margin over the comprehensive cost of cultivation. “The MSPs are lower to an extent of even Rs. 2000 per quintal in some crops, compared to what the MSP ought to have been, due to this latest cheating by the government”, NAPM said. Even as strongly condemning what it called “fresh MSP betrayal”, NAPM’s Samvidhan Samman Yatra – which will end in Delhi on December 10, the international human right day – saw Prafulla Samantara, alternative Green Nobel winner 2017, who led the yatra, said that the country has gone backwards to the British era under the current BJP rule. 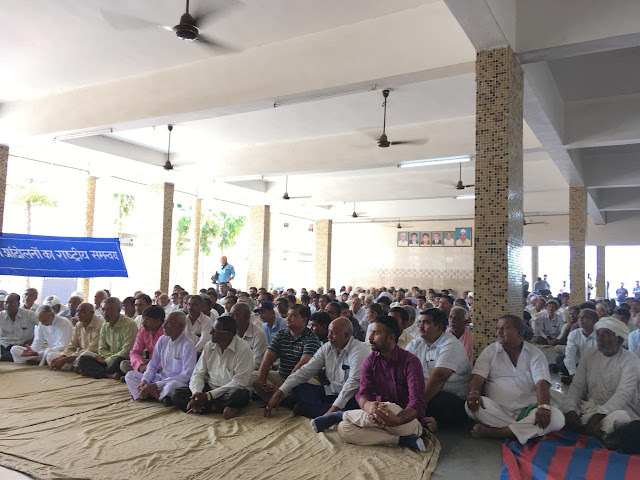 Those who participated in the yatra in Gujarat, apart from Samantara of the Lok Shakti Abhiyaan, Odisha, included Suhas Kolhekar (NAPM, Maharashtra), BR Patil (Karnataka), Dr Sunilam (Kisaan Sangharsh Samiti, Madhya Pradesh), and Nita Mahadev (Gujarat Lok Samiti, Gujarat). The Yatra travelling through Bhavnagar, Ahmedabad, Baroda, Bharuch, Surat and other districts, hearing what people had to say about the bullet train, industrial corridor, riverfront development, Bhadbhut barrage, special economic zones, special investment regions, and water diversion from the Narmada command area to corporate houses.